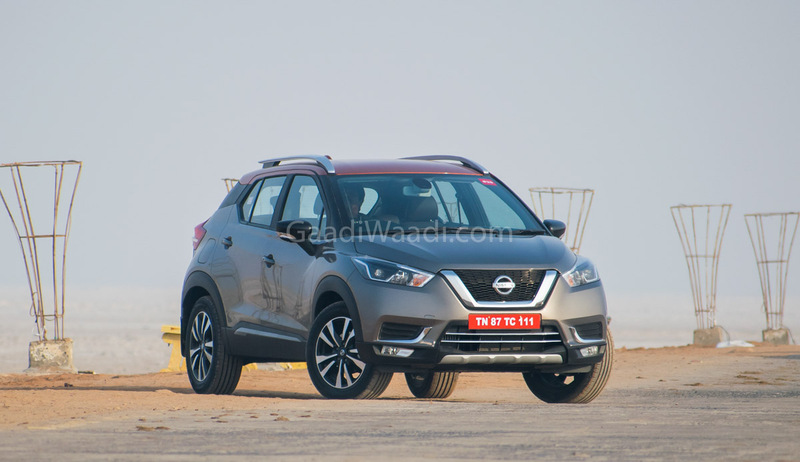 Nissan Motor India Private Limited has today launched the all-new Kicks SUV in the domestic market with prices starting from Rs. 9.55 lakh (ex-showroom, pan India introductory). It is made available in four different variants namely XL, XV, XV Premium and XV Premium Plus. 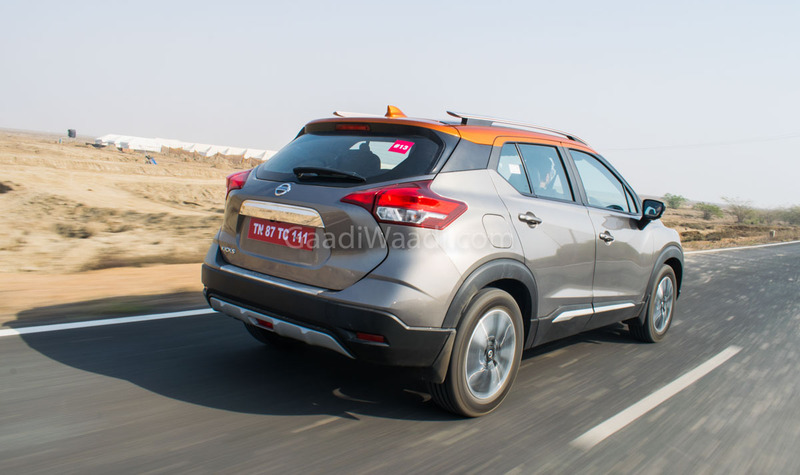 The India-spec Kicks is different from the global model in terms of dimensions as well as exterior by some margin. 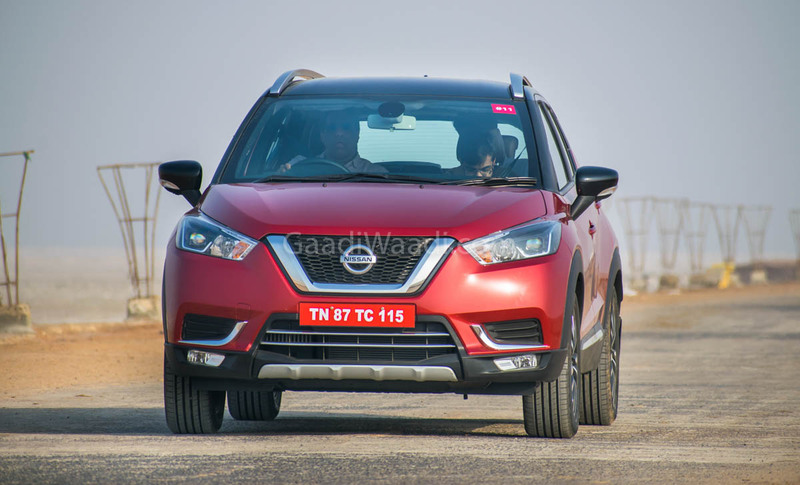 Based on the updated version of the proven B0 platform, Nissan has been able to price the Kicks aggressively due to the high levels of localisation. 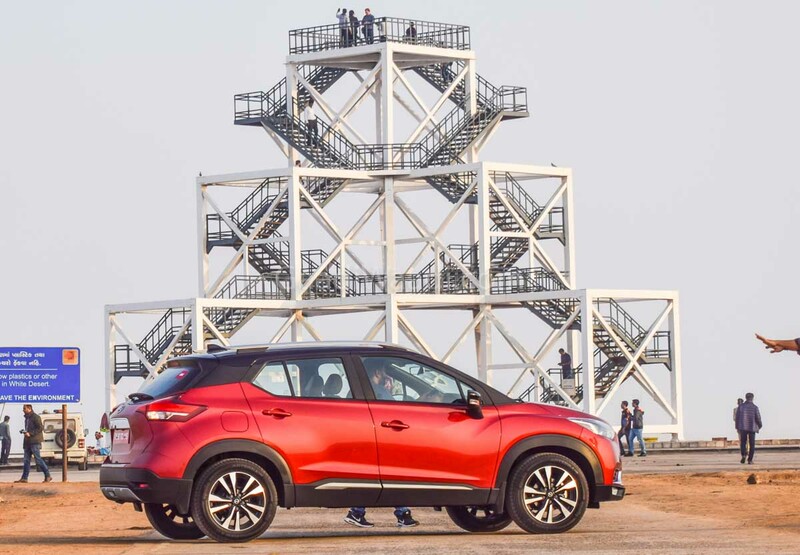 It measures 4,384 mm in length (89 mm longer than the global version), 1,813 mm in width and stands 1,656 mm tall with wheelbase of 2,673 mm (similar to Renault Captur). 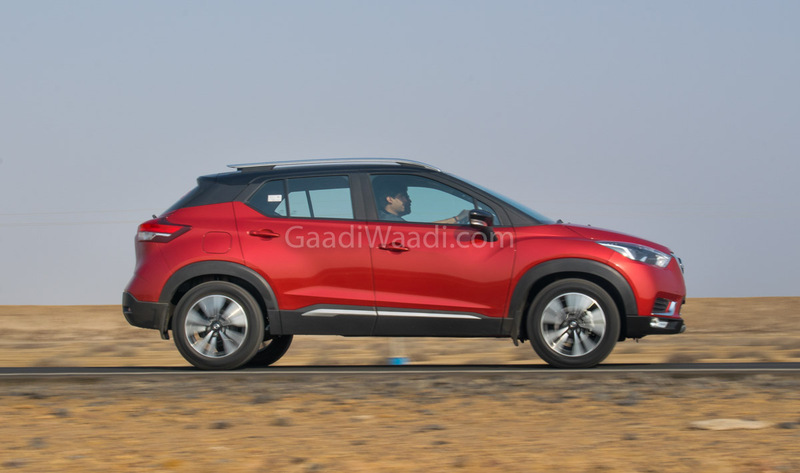 The Kicks is longer, wider and has 83 mm longer wheelbase than the Hyundai Creta while the ground clearance is at 210 mm (20 mm more than Creta). The larger proportions meant that it has a spacious cabin than the global-spec Kicks and Creta. The Japanese manufacturer has elected to go with a tried-and-tested engine lineup for the Kicks premium SUV. 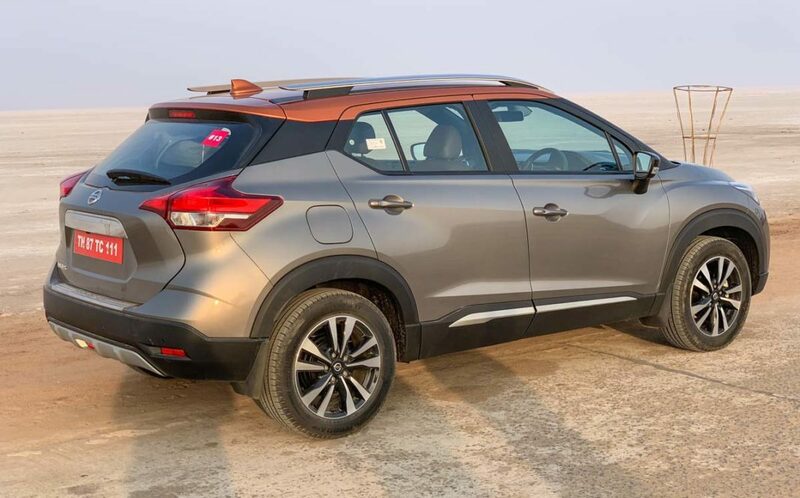 Nissan Kicks comes with 3-year standard warranty, 3-year service package with roadside assistance and maintenance at no extra cost. Under a new programme, it can be bought under a subscription scheme for just Rs. 11 per km. The subscriber does not have to pay for maintainance and insurance costs. 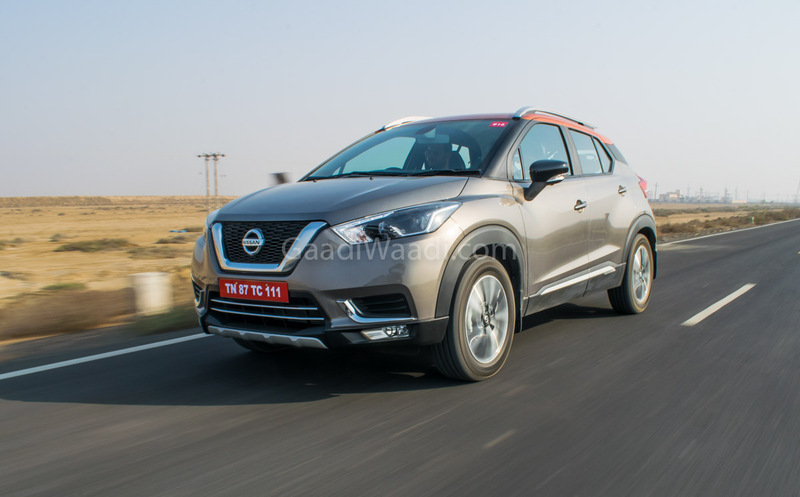 Offered in four diesel and two petrol variants, it can be had in 27 categories of accessories according to Nissan. The 1.5-litre K9K diesel powertrain develops 110 PS at 3,850 rpm and 240 Nm at 1,750 rpm and is mated to a six-speed manual transmission. 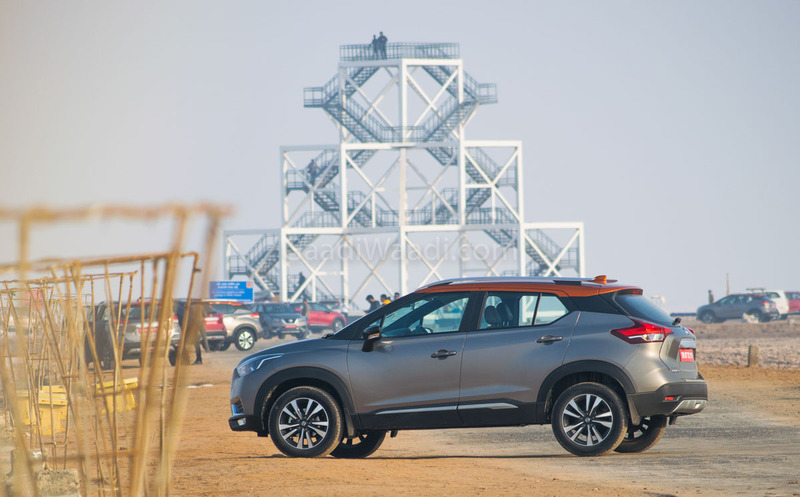 The 1.5-litre H4K petrol that can also be found in the Terrano makes 106 PS at 5,600 rpm and 142 Nm of peak torque delivered at 4,000 rpm and is connected to only a five-speed gearbox. Nissan may introduce automatic transmission at a later period. 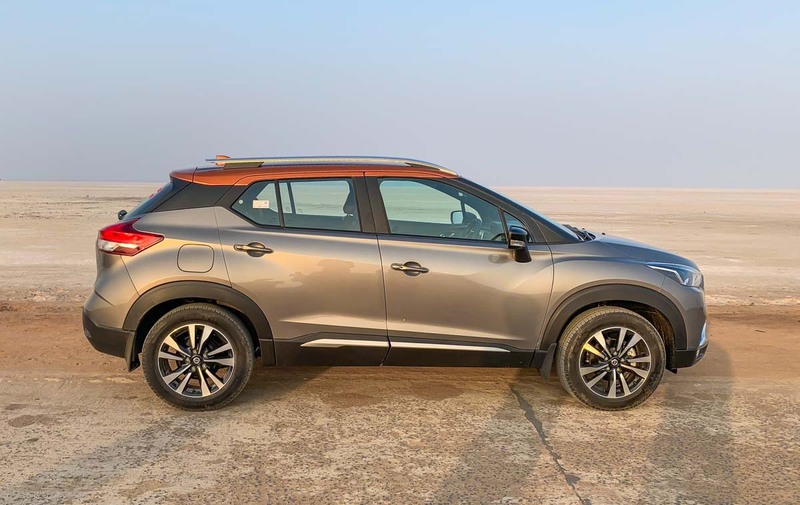 The Nissan Kicks is offered in seven single-tone paint schemes: Pearl White, Blade Silver, Deep Blue Pearl, Night Shade, Fire Red, Bronze Grey and Amber Orange. Additionally, the high-spec models can be had in optional dual-tone finishes such as Pearl White with Amber Orange roof, Pearl White with Onyx Black roof, Bronze Grey with Amber Orange roof, and Fire Red with Onyx Black roof. 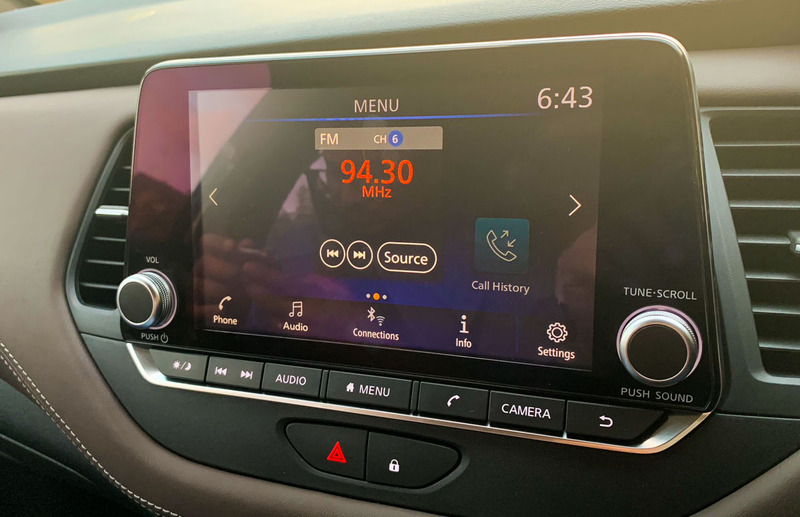 Nissan Kicks is sold with a good amount of features across the range. 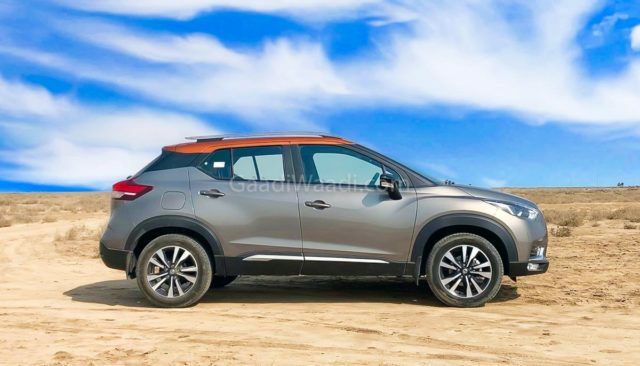 For instance, the entry-level XL variant comes equipped with notable upmarket equipment such as halogen headlamps with LED Daytime Running Lights, 16-inch steel wheels, automatic climate control system, rear air conditioning vents, single-tone interior with six-way adjustable seat, electrically adjustable ORVMs with turn indicators, 2-DIN audio system with Nissan Connect and Bluetooth connectivity. The Kicks XV model, on the other hand, gains Eco model in the diesel-spec while 17-inch five-spoke machined alloy wheels, eight-inch floating touchscreen infotainment system with Apple CarPlay, Android Auto and voice recognition, fog lamps, rear view camera, multi-functional steering wheel with mounted controls and rear wiper are other key features. 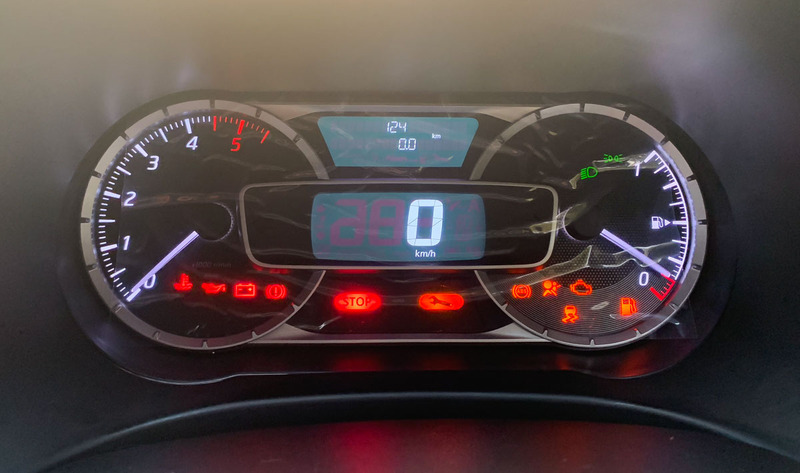 The XV Premium grade is feature-packed with LED projector headlamps offering great visibility, electrically foldable wing mirrors, cruise control, engine push button start/stop, tweeters up front, and smart card for keyless entry. 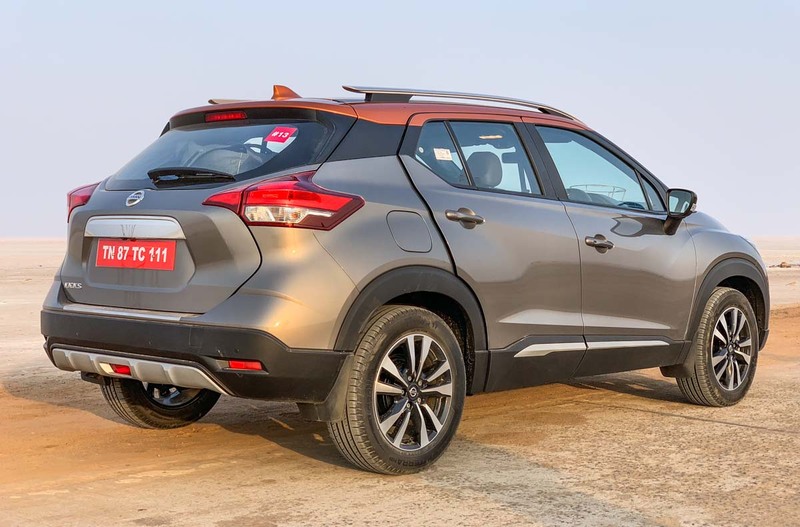 The range-topping XV Pre Option gets leather seat upholstery, two-tone interior, rain sensing wipers, front fog lamps with cornering function, auto headlamps with follow-me-home and segment-first 360-degree camera. 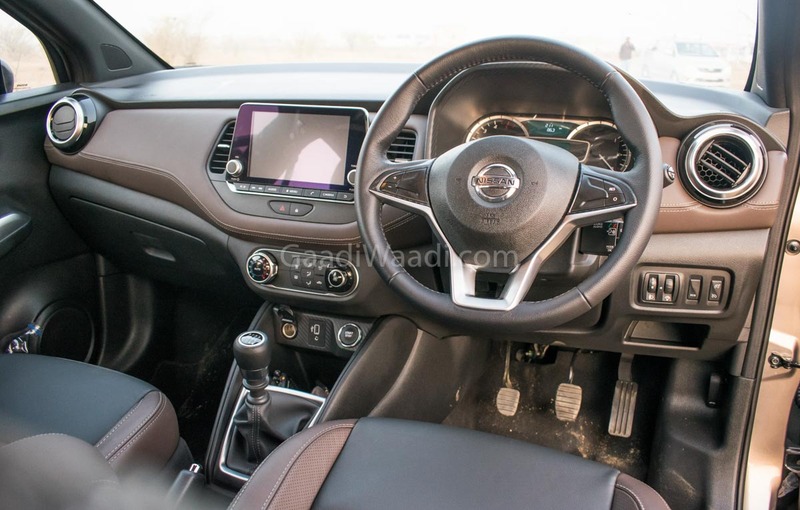 Nissan has included several standard safety features across the board like ABS (Anti-lock Braking System) with EBD (Electronic Brake-force Distribution), Brake Assist, dual airbags and reverse parking sensors. 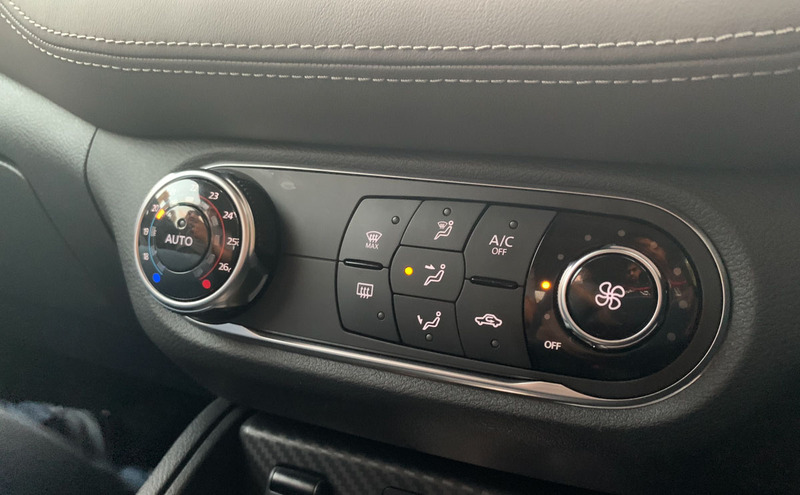 Moreover, VDC (Vehicle Dynamic Control) in all diesel variants except XL, side airbags and rear fog lamp, HSA (Hill Start Assist) on XV Premium and Premium Plus are part of the package. The Nissan Kicks is expected to make a strong statement in the segment against Hyundai Creta and Renault Captur while the rivalry against Tata Harrier will be another interesting prospect. 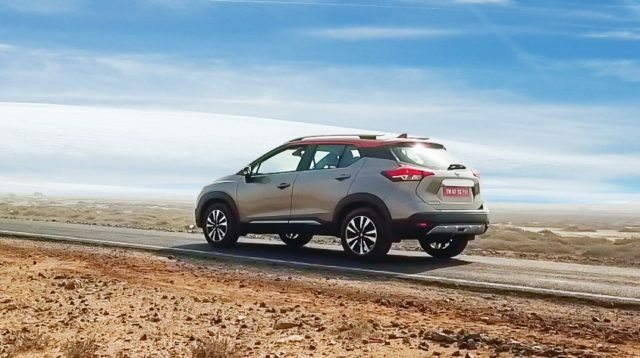 You can read all about the Nissan Kicks in our first drive review linked here!